Want a portable or cheaper option to a Dunk Tank? Try the Big Splash. Just connect to a hose, have your ‘victim’ sit under the bucket, and aim for the target. 6 foam balls supplied. Soaked in water they become weighty with a no hurt factor! On Special – $225 plus GST. 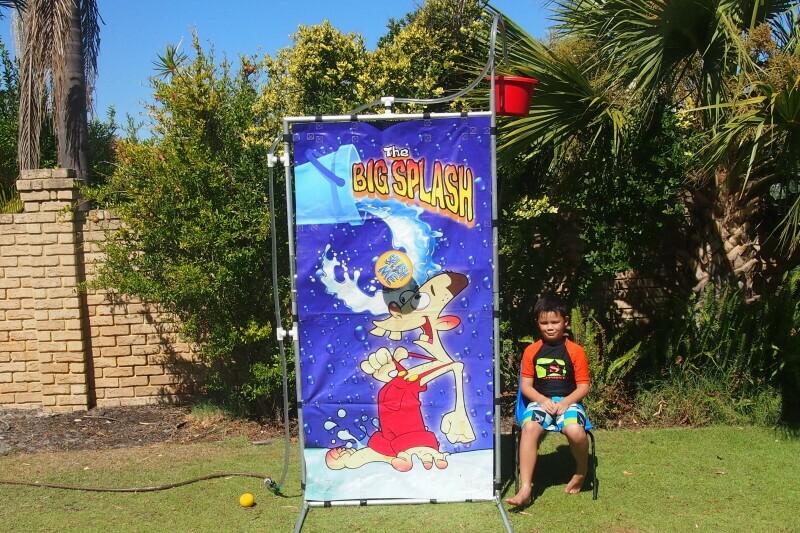 Big Splash for 6 hours – $225 plus GST.